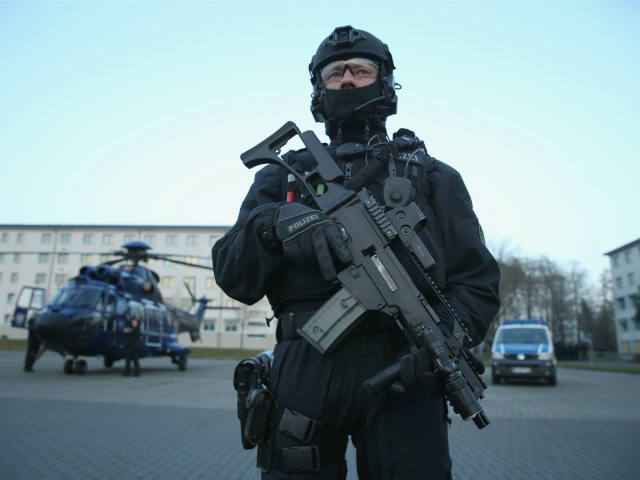 Berlin’s criminal underworld has been “lost to Arab clans” according to a new report published by the mainstream German newspaper Die Welt. The report, which reveals how Arab migration has transformed Berlin’s entire criminal landscape, exposes how extended migrant families, now recruiting new migrants, run the entirety of the city’s organised crime. Investigators reported that the criminal gangs have “exploited the situation” of the migrant crisis, in which German Chancellor Angela Merkel’s policies saw well over a million migrants from the third world world settle in Europe last year. The source explained that “young and physically strong men” are targeted by the gangs and then used for “dirty work” like burglaries, drug trafficking, and fights with criminal competitors. Child refugees are also welcomed as their faces are unknown to the police. Despite the prospect of arrest, or even going to prison, many of the new arrivals are willing to take the risk as it is unlikely they will be deported. Germany’s problems with its immigrant population are nothing new. According to authorities in Berlin the majority of the city’s organised crime is controlled by seven to nine extended families who came in the late 1970s from Lebanon. Dirk Jacob, the director of the State Criminal Police Office (LKA), describes how the clans specialise in property crime and drug trafficking. They show their power in the city wiith highly visible stunts such as the “daring daylight heist” which saw a masked gang armed with assault rifles, machetes and hand grenades steal the jackpot from a poker tournament at the Hyatt Hotel, and “spectacular heists” at Berlin’s iconic Kaufhaus des Westens luxury department store. Despite all efforts Jacob says it’s “extremely difficult to penetrate” these extended families as they are “solid structures” that can be cracked “only through lengthy and costly investigations.” Describing problems policemen run into when faced with the clans’ criminal machinations he says if for example, a family member of a competitor is knocked down or seriously injured with a knife, officials have little time to secure the testimony of witnesses. The “great families of the city” also control the majority of prostitution in Berlin. Prostitutes must pay the Arab clans a demurrage “otherwise there are beatings”, pimps must pay protection money, and pressure has recently been growing too on the small apartment brothels dotted over the German capital. What is most startling about the revelations is that it sounds like few areas of business in the city are free from these families’ criminal grasp with “hardly a hookah bar operator spared from extortion”. Michael Kuhr, Germany’s most famous celebrity bodyguard cooperated with police, as he always does, after the heist at the Hyatt Hotel’s poker tournament. His testimony helped jail the perpetrators, members of the notorious Arab clans, but the former world champion kickboxer said that a contract killer was hired to take his life as a result. For months the professional bodyguard had to be accompanied by personal bodyguards himself. Mr. Kuhr, who has detailed insight into Berlin’s underworld, declared the capital is “lost” as “[the clans’ structures] are manifested in all areas of organized crime”. In addition, he concluded “the people are extremely dangerous” and have no respect for the state.